Split Testing is testing multiple versions of your website hosted on different URLs. Your website traffic is split between the variations and conversions measured to decide which version wins. The key difference between a Split URL test and an A/B test is that the variations are hosted on different URLs in case of a Split test. 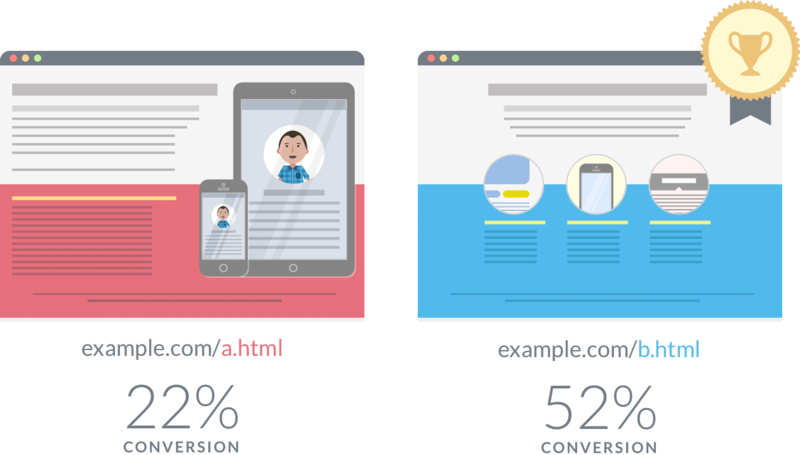 As a thumb rule, A/B testing is preferred when only front-end changes are required, but split URL testing is preferred when back-end or significant design changes are necessary. When a split test is running and people visit the website (the control), the VWO either keeps the user on the original URL, or redirects the user to the variation URL. The redirection is done using JS redirect and not a 302 redirect. To know how to create a Split URL test, click here.